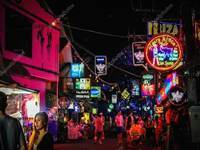 It’s around a 50 minute drive from lively Chaweng and the airport. You’ll generally find people have a really relaxed and chilled time here. 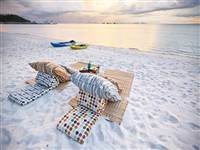 They may be dining out at one of the beach restaurants or having a low key sundowner. Peace and serenity are where it’s at. Samui Holiday Villas have some of the best villas on Lipa Noi beach. Here are some of our top picks. 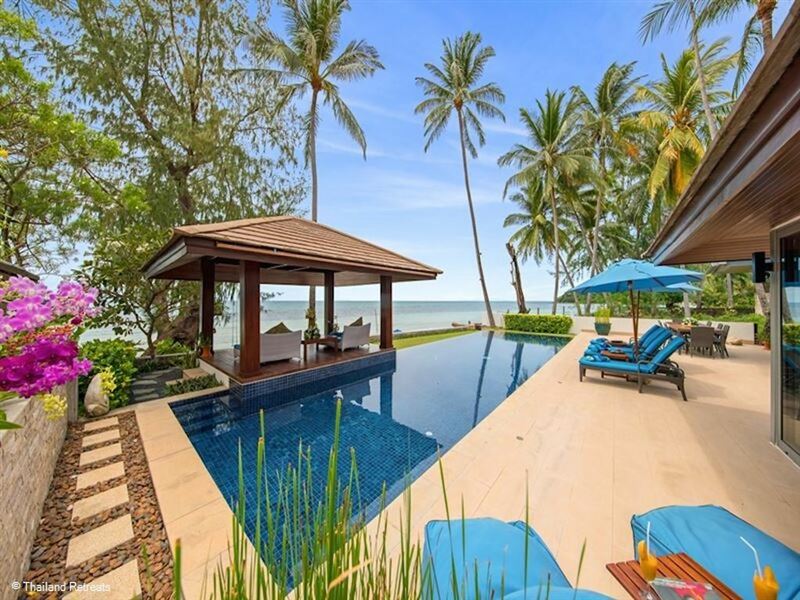 Akuvara is Sanskrit for ‘The Sea’, and this villa is right next to the beach and the Gulf of Siam with fabulous views over to 5 islands. 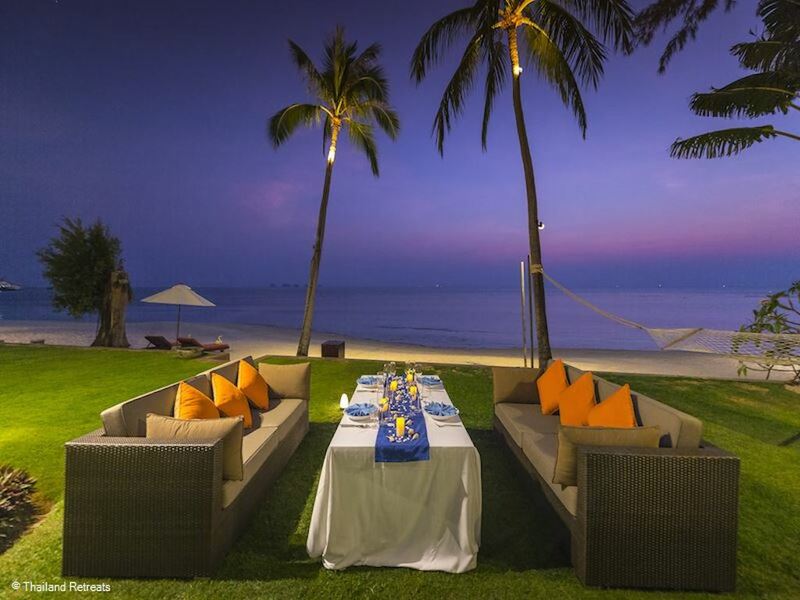 This 4 bedroom villa is a favourite for families and comes with its own Thai chef, huge pool and lots of fun and games. Why not jump into the villa kayaks for a paddle out to sea? 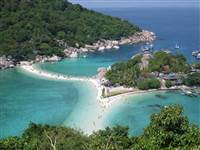 It offers the perfect beachside family break in Lipa Noi. 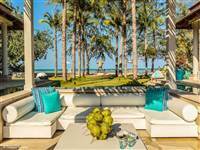 This private beachfront residence has stunning views over the Angthong National Marine Park and beautiful sunsets that you can watch as you relax in the villa or poolside. It’s just perfect for sunset drinks. This 5 bedroom property has luscious gardens, an elegant design, a huge infinity pool, fitness room, maid service and a chef service can be arranged. You can see why it’s on our list of favourites. This rare gem is a sanctuary. It has 8 bedrooms and sleeps up to 12 adults and 8 children, so it’s just perfect for a big group event, family gathering or wedding. 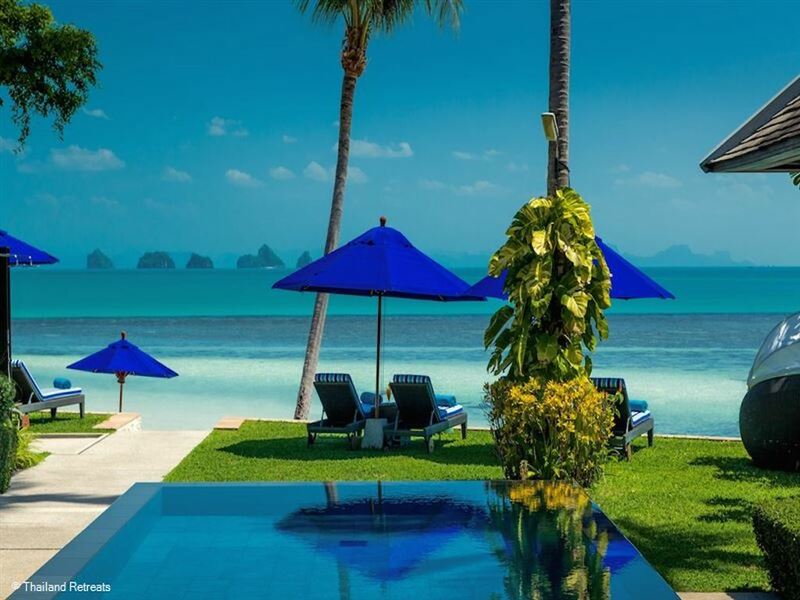 This villa is directly on Lipa Noi beach, with lush tropical gardens and simply spectacular coastal views. Island life at its best. This villa really has the wow factor. It’s beautifully appointed with tranquil areas throughout the villa so you can retreat for a spot of yoga or meditation. There is an infinity pool right by the beach, a separate childrens pool, resident villa staff, outdoor cinema screen, and in-villa spa treatments. Want everyone to have a great time? This place makes it easy. You’ll be captivated. The manicured lawns of this beautiful villa slope right down to the stunning, powdery sand beach. This sophisticated villa is idyllic. Think swim up bar, play area for children, jaw dropping views, candlelight dining and a swim up bar. If you want to get away from it all, this is definitely worth a look. Want breakfast in bed or a seaside BBQ? 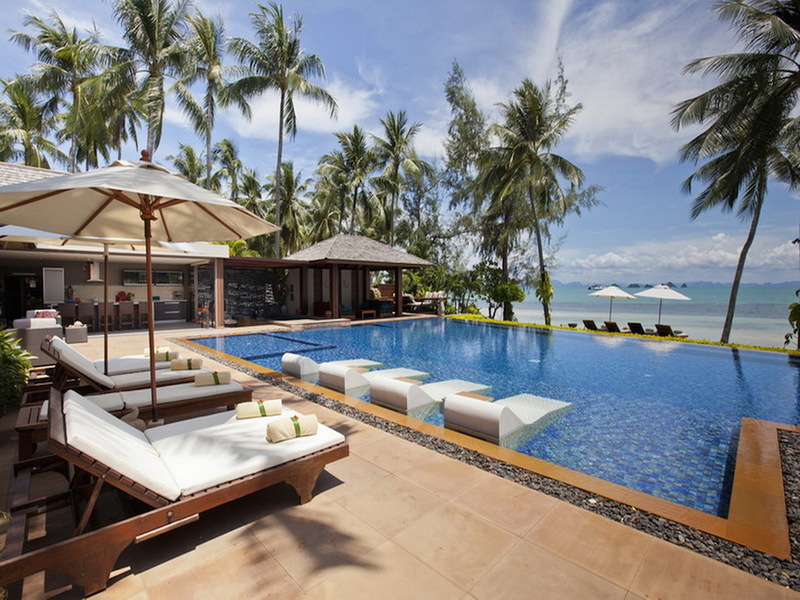 It seems like nothing is too much trouble at this gorgeous villa right on Lipa Noi beach. This place comes with a chef, a chauffeur, a butler, its own private wine cellar, jacuzzi and children’s pool. And not forgetting the all-important ping pong table of course. 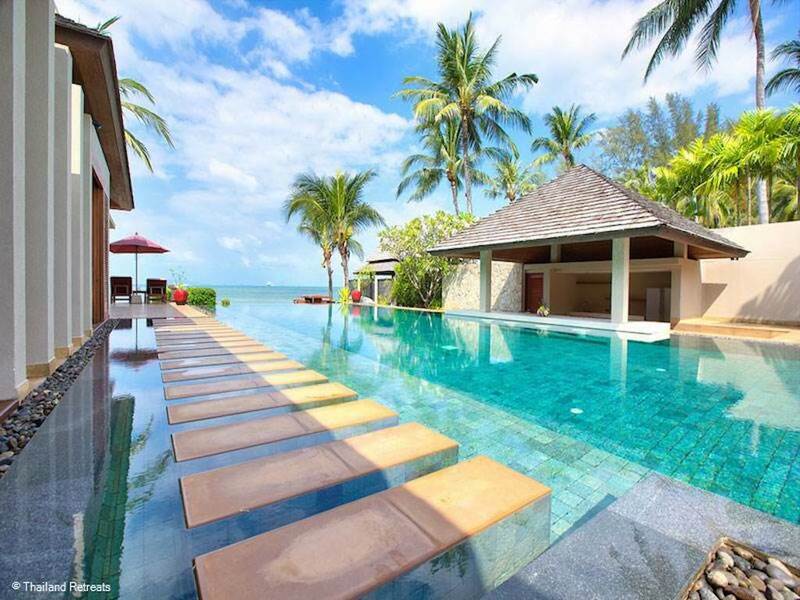 It’s hard not to have a good time in this 5 bedroom villa. It offers a little slice of paradise. 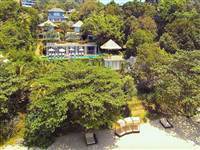 Samui Holiday Villas have plenty of other villas in Lipa Noi too. It’s the perfect spot for fantastic sunsets and to enjoy the laid back tranquility of island life.